When you want durability and comfort in a standout color, check out this Wrangler Riggs Men's Safety Green 3W700 SG Short Sleeve Pocket Tee Shirt. Made of 7-ounce 100% natural, breathable ringspun cotton jersey, it's smooth, soft, and strong and will help keep y ... (see full details) (see specifications) #WRG3W700SG. When you want durability and comfort in a standout color, check out this Wrangler Riggs Men's Safety Green 3W700 SG Short Sleeve Pocket Tee Shirt. Made of 7-ounce 100% natural, breathable ringspun cotton jersey, it's smooth, soft, and strong and will help keep you comfortable in both warm and cool conditions. Wear it alone or layer it under other tops for all kinds of options. Designed in Safety Green to help you stand out when visibility is important, this shirt is also made to help you work in comfort with short sleeves and a relaxed fit. Count on it for plenty of room to bend, move, and stretch freely. The side seams are vented and taped for durability and breathability, and the neck seam is also taped for longlasting comfortable wear. Everyone dislikes scratchy tags clawing at the neck, so Riggs gave this one a tagless label for comfort. A chest pocket and hidden utility loop add convenience to this hardwearing workwear top. For a comfortable fit, convenience, and visibility, choose this Wrangler Riggs Men's Safety Green 3W700 SG Short Sleeve Pocket Tee Shirt. We have them right here at Working Person's Store. Order today! I purchased this shirt three years ago and it's still holding up well. Even the color is still bright. (Just ordered some more in different colors, and another in this color). These are truly the best work shirts available. I'll never wear Carhartt again- they USED to be good. The Riggs are heavier and better constructed. They don't seem to shrink either. I wear these shirts every single day! I only buy these shirts for my husband. best shirts made! I have 4 of these shirts in the forest green color -- they are the best I have ever found. I am disappointed that I can't get the safety green or safety orange in a 2XL tall size. This t-shirt is the best ever made. I order just two of thesee shirts to try. Well they are very nice they fit true to size I ordered these in a larger size for room and they feel comfortable and are durable . The lime green color is also a plus if working in darker areas or need to be seen for additional protection . The price was great too working person store will probably beat any price. I do not think anyone can beat their prices on these shirts so I do not bother to even try looking anywhere else. I received my order today. Now that's what I call FAST service!!! Thank you very much! 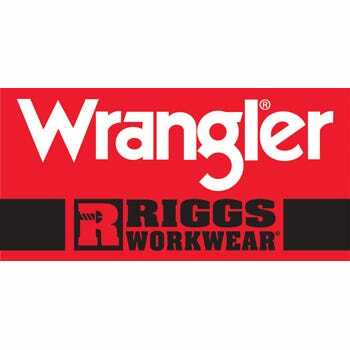 Wrangler Riggs Shirts: Men's Safety Green 3W700 SG Short Sleeve Pocket Tee Shirt is being added to your cart.